Asian Games silver medalist, Champion of the Republic of Kazakhstan Ayan Beisenbayev won the bronze in the Elite category and silver in the U23 category at the Asian Cup in Jordan! Ayan was able to overcome the "sprint" distance in 56 minutes and 28 seconds, giving the leader 15 seconds. 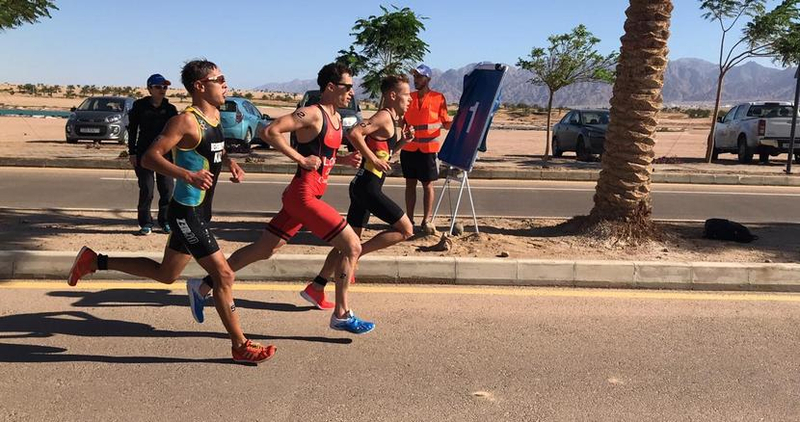 The leader in the Elite category was Canadian Michael Lori with a time of 56 minutes and 13 seconds, while silver was awarded to German athlete Jannik Schaufler for 56 minutes and 21 seconds. Daryn Konysbayev finished on 19th position with a score of 59 minutes and 12 seconds. And Semyon Pivovarov finished the race at the 22nd position with a time of 01 hour and 15 seconds. At the same time, Arina Shulgina, who started today at the World Cup in Tongyeong, could not finish for technical reasons.